Hey there fellow pony lovers! I'm new to MLPTP but people have been after me to join for a while. I'm Mal, from London, Canada. 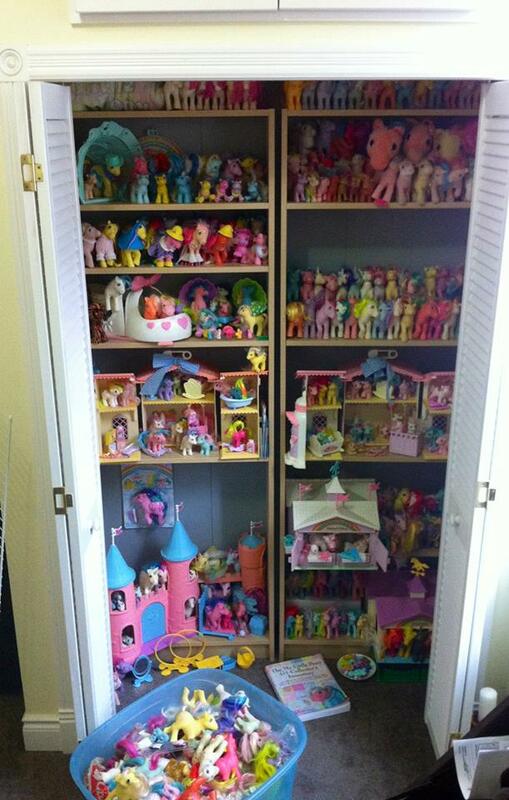 I've been collecting since I was little and have hundreds of ponies! This isn't even my whole collection- I have another blue tupperware like the one pictured full. I've never been active in the pony community because I'm a bit shy and also because I was made fun of a bit for collecting as a child (clearly not enough to stop collecting... Heck no lol) but I need to start selling a few doubles because I just learned I got into grad school and the money is needed. 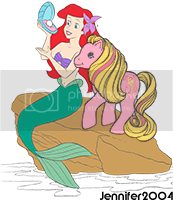 I have a blog-- g1mylittlepony.blogspot.ca... It has a list of what I've got and also what I'd like to have- it's not updated/finished but I'm working on it. If you're interested in any of my doubles, I thought I'd give the heads up to the pony community before going on eBay. Money's tight right now so I can't buy, but trading might be possible, because I love ponies more than food. Thanks, and nice to meet you.. I totally love your collection! !